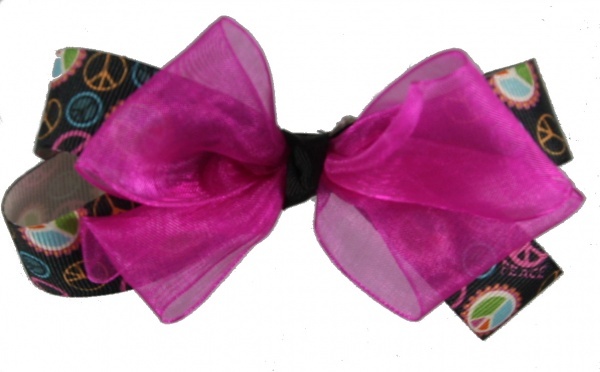 This is a one of a kind mixture of peace signs and hot pink satin ribbon. Double layers of ribbon are wrapped into a French knot with a sold black 3/8 inch grosgrain ribbon. The bottom layer is a black ribbon covered with bright colors of pink, orange, lime green and blue all over it. The top layer is a hot pink satin ribbon that is very pretty.